In our April newsletter, we highlighted recent developments in what is called trauma-informed care. The most basic way of understanding this shift in perspective in helping people is that in trauma-informed care, instead of asking, "What is wrong with you?" we ask, "What happened to you?" By seeing and addressing the challenges and trauma that has happened in a person's life, we can better help him or her deal with or move beyond those negative experiences. Edutopia recently hosted a Twitter chat on the topics of trauma and social and emotional learning (SEL). Though the discussions focused on the K-12 community of students, it is easy to see how all of the strategies and principles can be applied to the adult education student. The Twitter chat focused on several subjects. First, it is not safe to assume that some students' lives have been free of trauma. Many people's hurts are not visible, and even for those fortunate students without a traumatic past, this sort of care and teaching still provides academic and personal benefits. Schools can also provide a 360-degree approach to trauma-informed teaching that supports the students completely. Be aware that helping others deal with their pain can cause us as educators to experience pain ourselves. Schools and educators can support one another through the process. 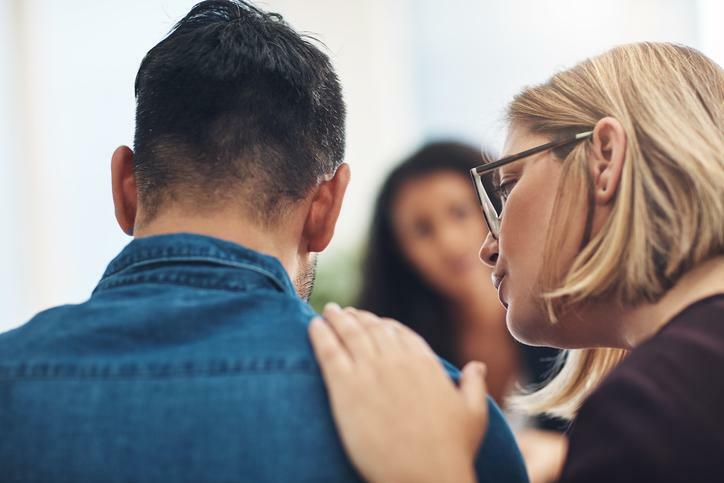 Edutopia shared an article titled, The How and Why of Trauma-Informed Teaching which sheds light on all of these topics. When preparing for the essay portions of the GED® and HiSET® exams, m any students have trouble finding the right balance between not explaining enough about the readings and explaining too much. What sort of audience should they write for? An Edutopia post titled The Value of an Imagined Audience gives several tips on how you can coach your students to predict their audience and give that imagined audience what it needs through their writing. A limited number of scholarships are available for people enrolled in Penn State's Family Literacy Certificate program. Each scholarship totals $3,200 off tuition over the course of four classes. Learn more information and how to apply. The annual PA Workforce Development Board Symposium will be held October 1-3, 2018, at the Penn Stater in State College, PA. On Monday, October 1, there will be a half-day long Industry Partnership Roundtable. Then, October 2-3 will include speakers and break-out sessions with the theme, "The Changing Face of Workforce Development." See the tentative agenda or register online. On Tuesday, August 21, 2018, at 2-3pm, Burlington English will host a webinar titled Go Hybrid Now: Building a Virtual Classroom and Interactive Digital Activities . This session will let participants see a complete virtual classroom made with the free learning management system, Canvas. Explore classroom assignments, quizzes, and content pages. Other free and low-cost online resources will be discussed and shown that can be used to enhance your face-to-face activities. Learn more and register online. These are some of the ideas touched on in the list of six professional development books recommended in a recent Edutopia blog post, 6 PD Reads You Shouldn't Miss . Exciting things are happening with the Career Pathways Student Reports (CPSR). Check out our NEW companion document . This three-page PDF aligns to the Career Pathways Summary Report that agencies receive when they submit CPSRs to the Workforce Development Project staff. The questions in this document can help program staff brainstorm ways to use data for program improvement, align activities to the Local Workforce Development Area Plan, and improve learners' transitions to self-sustaining careers. Stay tuned for more exciting news about the CPSR and new ways your program can use it this year! On Thursday, September 6, from 12:30-1:30pm, a webinar will be held that will introduce the new comprehensive strategic plan for PAACE to members. This 3-year plan is a living document, open to input and development, and will lay out the vision, mission, core values, and strategic priorities of the organization going forward. Learn more information and how to attend online . Workforce GPS recently shared a report titled Bridging the Opportunity Divide for Low-Income Youth. This report fro m the Office of Planning, Research, and Evaluation, Administration for Children and Families gives positive evidence on the implementation and early impacts of the program Year Up. This is a national training program for urban young adults, ages 18-24, who hold a high school diploma or equivalent. With an emphasis on increasing revenue for the Pennsylvania Association for Adult Continuing Education (PAACE) the PAACE Board has been awarded a $15,000 Dollar General Literacy Foundation Grant. Thanks to these funds, scholarships are now available to those who would like to attend the 2019 PAACE Conference but do not have the means. The Conference will be on March 11-12, 2019 at the Penn Stater Conference Center in State College, PA. Apply for a scholarship online . Individual Walmart stores, Sam’s Clubs, and logistics facilities can support the needs of their communities by providing grants to local organizations through the Community Grant Program . Successful grantees should direct all funds towards programs that adhere to Walmart's focus areas of community, sustainability, and career opportunity. Community-based programs would be any that provide after-school enrichment, tutoring, or vocational training for low-income individuals and families. Grants range from $250 to $2,500, and applications are due by December 31, 2018. The National Literacy Directory is seeking applications from literacy and education programs that innovatively find solutions to persistent educational challenges. Grants are of $1,000. Learn more and apply online by September 7, 2018. GetEdFunding.com recently shared an example of what a successful grant can look like. There are a lot of tips and strategies out there to get funders' attention, but sometimes it can be helpful to see an example. This post titled What Makes a Successful Grant Application? can help you see that.